Ready for a Relaxing Private Intracoastal Cruise? Are you looking for a perfect activity on the water in South Florida that is calm and relaxing? Our private intracoastal cruises are your perfect solution. 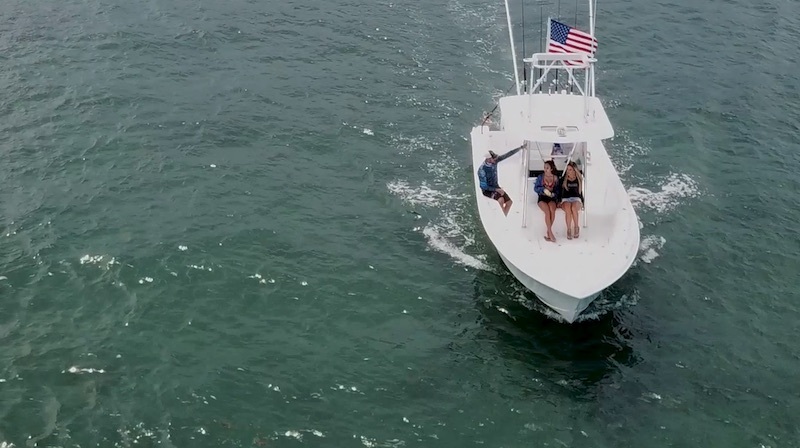 For many, inshore fishing is not their “cup of tea.” But now, imagine viewing the majestic blue skies while cruising on a boat and enjoying your favorite drink. What a wonderful way to melt your frustrations! If this sounds good, you need to pick a day and get on the boat with Ocean Atlantic Charters! Whether you prefer just slow cruising along the waterway, anchoring to swim at sandbars, or grabbing a bite to eat at amazing restaurants on the water, our intracoastal cruises will allow you to enjoy all the benefits of being on the water. There is no better way to enjoy this than by boat! There is so much you can see and do in South Florida while on the water. If you are looking for waterfront dining, we can recommend some of the best local places. These restaurants serve fresh seafood and the bars offer a fresh ocean breeze. Enjoy this scenery as you sip on a tropical cocktail while listening to live music. These are just some of the boating experiences you can expect on our intracoastal cruises. Make new friends at a local sandbar. Enjoy the water by partying at the sandbar with other boaters or request a more secluded area away from a large gathering. Bring your snorkel gear to get a front row perspective to our local sea life underwater. We also have inflatable tubing activities as you are towed behind the boat at a fun speed. Whether you’re on a vacation or a staycation, going out on a boat for the day will definitely provide the experience you’re looking for. At Ocean Atlantic Charters, there is something for everyone, with prices starting at $500. We proudly offer day and night cruises, so whether you want to soak in the sun or watch the beautiful South Florida sunset you can choose! Whether you are cruising for the first time or this is a regular indulgence, Ocean Atlantic Charters promises momentous adventures in the waters. Our captains are friendly and highly experienced. Intracoastal Cruise Charters start at $500. Contact us today for more information (561) 440-5565.